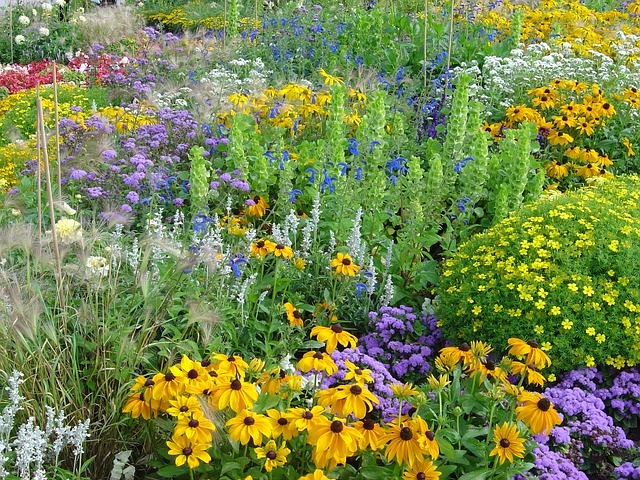 Sciblogs | Biodiversity: Do non-native species count? Biodiversity: Do non-native species count? Should non-native species classify as a kind of biodiversity? The answer, one would think, is straightforward and should be uncontroversial. Unsurprisingly, it’s the same definition we use for our national biodiversity strategy here in New Zealand. Nativeness is not a determinant of whether something classifies as ‘biodiversity’. If it lives, it’s essentially in. Full stop. Why then has a scientist’s recent perspective that non-native species should be considered a form of biodiversity caused such angst? In April 2018, Martin Schlaepfer – a scientist at the University of Geneva – argued in the journal PLoS Biology that non-native species should be included within indices of biodiversity and sustainability. At the moment they generally are not. Schlaepfer presented three main arguments for the inclusion of non-natives. First, excluding them, as noted above, is simply wrong. They are clearly a form of biodiversity, at least from a formal, scientific perspective. Second, non-native species represent a large proportion of many ecosystems. Excluding them from indices of biodiversity seems to make the non-native component of these ecosystems irrelevant. Put another way, it appears to deny ecological reality – and the management implications that stem from it. Third, peoples’ views on which species to value tend to change over time. Indices are best used to present the facts – all of them. An interpretation of those facts is important too, but it’s the next step. These all seemed like reasonable enough suggestions to me. But others disagreed – most notably a group of 26 other scientists who condemned Schlaepfer’s proposal in a November reply article. According to them, an argument for the inclusion of non-native species within metrics of biodiversity was both ‘potentially dangerous’ and ‘potentially devastating’. A subsequent IUCN blog article on the topic by one of the same authors added that it was ‘potentially disastrous’. What could have prompted such excessive recourse to a thesaurus? Well, for starters, this is no new debate. It is, rather, a subset of a longstanding academic arm wrestle over the interpretation of the natural world. A very similar exchange occurred some 17 years prior. ‘We are aghast…to find “concern” expressed for species present in Canada only as exotics…We contend that there are almost no instances in which non-native species should receive consideration for conservation concern…Aside from eradication, we can think of few instances in which the persistence of a non-native species needs to be considered when pondering the conservation and management of native species…Non-native species should be recognised for the scourges they generally are. Indeed, all should be treated as threats to the native ecosystem unless proven otherwise (i.e., the null hypothesis should be that the exotic species has a negative effect). Such a stance may seem unduly harsh, but our collective goal in conservation biology is to protect biodiversity. That term is by necessity restricted to native species richness, whether the species evolved in situ or invaded the region under its own power. All organisms naturalized by humans, purposely or not, do not and cannot add to biodiversity…To view the world in any other way is to do a disservice to our collective goal’. Strong claims for sure. But let’s look at each of them in turn to see if they stand up to scrutiny. First, the argument that including non-native species among metrics of biodiversity will prevent us from detecting the effects of non-native species. While Schlaepfer’s critics agree that full inventories of native and non-native biodiversity are needed, they caution that ‘we should not simply tally species in a single column and declare our assessment complete and relevant’. It’s hard not to see this as a straw man argument. Schlaepfer was perfectly clear that including all species in metrics is only a first step and that such metrics would be relevant only to some indicators. He did not suggest that recognition of the underlying origin of each species should be dropped from the lists, or that that information might not be used to inform how the lists are interpreted. He suggested simply that non-native species should be included within them. Second, the argument that including non-natives would inflate biodiversity estimates. Schlaepfer’s critics wrote that ‘including non-natives in estimates of total biodiversity without distinguishing their origin will lead to absurd situations in which drivers of biodiversity loss contribute to improvements in the metrics used to evaluate biodiversity conservation’. Again though, the fear that species origin will be removed from the calculus of biodiversity loss and gain is not well founded. It wasn’t reflected in Schlaepfer’s argument. Local species richness may in some cases be enhanced by non-native species (that’s what the critics allude to), but introductions can also bring a bunch of negatives. That’s why it’s necessary to collect all the information – so that we can understand both sides of the story. 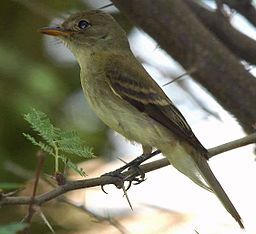 The federally endangered southwestern willow flycatcher (Empidonax traillii extimus) – non-native tamarisk trees (Tamarix spp.) provide important nesting habitat for it. It’s also difficult to argue that non-native species aren’t relevant to many biodiversity indicators. Non-native species are, after all, highly valued components of all countries biodiversity for social, cultural and economic reasons. And, contrary to earlier claims, we now know that they have important conservation relevance too, such as where non-native species provide important habitats for native species, or where a species is threatened in its native range but occurs in healthy numbers in its introduced range. Third, the argument that including non-natives will promote the spread of invasive non-native species. It’s hard to know what is meant here exactly as there is no elaboration in the response article. Presumably, this again boils down to the suggestion that people will see increased species richness in some areas due to introductions and surmise that non-natives are therefore categorically a positive influence. I think it’s far more likely that an accurate accounting of the role of non-native species in the world’s biodiversity would result in a more accurate perspective on their contributions. Local species richness is but one metric to work with in determining this. For some, this may be important while for others the preservation of a native species specifically imperilled by a non-native species will be of higher importance. There is no ‘right’ answer to such choices. Taking a finer resolution, people may decide that some values are more important in one area and less in another – high species richness and novel ecosystems here, preservation of native species and historical ecosystems there. In many respects, that is what we already do anyway through national-level conservation planning. Either way, having the information makes these choices possible. Preventing the collection of the facts deliberately removes those choices. Lastly, it’s argued that including non-native species in metrics of biodiversity ignores the fundamental differences between native and non-native. These are, according to the critics, that natives are unique and irreplaceable, and that they provide ecosystem services – some of which are yet to be discovered. Also noted is that we cannot be sure which non-native species will prove problematic in future, implying that all non-native species should be treated with suspicion. 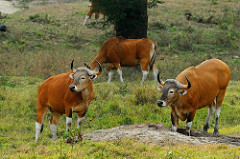 The endangered banteng (Bos javanicus) – more numerous in its introduced range than its native one. Again, nothing that Schlaepfer has suggested necessarily diminishes the value of native species. He simply called for a more balanced consideration of the values of non-native species. The acknowledgement of the one does not have to be taken as a slight of the other. No one disputes, for instance, that native species have important values and that some of these are yet to be recognised. But is it possible that the same could be said for non-natives too? And while it is likely that some further non-native species will be considered invasive in future, the same could be said for some native species. In neither case does it seem appropriate to tar the whole group – native or non-native – with the brush of the minority of species from each that are known to cause harm today. But do we really need ‘rigorous data’ to prove that non-native species are a form of life on this planet? And just how ‘dangerous’ is a factual account of biodiversity anyway. Inventories of native and non-native species are routine facets of site-level ecological surveying. That information is then commonly used to interpret and measure ecological health – sometimes using all recorded species, other times using just the native component. It’s not clear why we’ll suddenly lose our heads when contemplating the same information at a national or international level. Both Schlaepfer and his critics note that the international community is currently negotiating what a new global biodiversity framework will look like post-2020. What better time then to assess the best ways of monitoring progress against biodiversity indicators, and indeed for modifying the indicators themselves to better reflect changing information and changing social and cultural mores. Surely we need all the information for that, not just the part we currently like best. ‘Arguments to exclude non-native species from such a process overlook opportunities for the future, run counter to internationally agreed upon goals (e.g., Aichi targets), and leave the impression that a group of biologists is attempting to impose their personal beliefs (namely that species only have value within their historical range) on the rest of society’. And this is perhaps where the problems start, because ‘biodiversity’ is increasingly used in two distinct ways: as a statement of scientific fact, as defined above, and as a statement of value, where it essentially means ‘living things I care about’. When people talk about biodiversity in New Zealand they’re generally talking about indigenous biodiversity only. The argument confounds local biodiversity sensu neutral values (which is increased by natural or anthropogenic invasions) and global biodiversity (which is decreased by such invasions as native species become extinct). New Zealand could easily increase its biodiversity by importing species (a la the old Acclimatisation Societies and modern little old ladies smuggling in bromeliads (I would nominate mongeese (to eat the frogs), foxes, marmorated stink bugs, brown tree snakes, coci frogs(to serenade us to sleep), snow leopards (to eat the thar), and a gazillion other plants and animals) which would drive a few extra NZ species to extinction and so decrease the number of species on the planet – or maybe we could just be an ark for the exotic species about to die out in their natural range. The argument is of course silly. The argument about what we should do about exotic species already here is somewhat different. If we could eradicate possums (or any of the Predator Free hit list) we would not affect global biodiversity but would increase NZ biodiversity into the future. We need both a local and global perspective!! The real question is whether we can still have all our native species (where, how many) if we cannot eradicate the exotics from the nation. We can with some smart strategies. Fortunately, government at least has strategies in place to limit introduction of new species – if only on the precautionary principle – and some dreams about eradications which may or may not be that smart. Yep, this suggestion of importing further species simply to try and bump up local species richness is just the sort of thing that Schlaepfer’s critics are afraid of. Only issue is that no one is making that argument so it seems to be a figment of overactive (possibly paranoid) imaginations. I agree there is a need for more conversation about what to do, and how to think, about our exotic species. A starting point will surely be to not assume that they are invasive for the outset. Part of that might just require us to be more accurate with our language, especially in distinguishing introduced from invasive. The whole discussion here is confounded by jargon. We shouldn’t be talking in this context about biodiversity (=number of species) at all, we should instead be talking about the values of retaining intact natural ecosystems, free from anthropogenic influences (including species accidentally or deliberately introduced into those ecosystems by man). It is very unclear if conservationists are worried about the fate of particular species (if one species of bat goes extinct, is that somehow intrinsically a bad thing?) or the health of natural ecosystems (which could be adversely affected by loss of some species). In reality, I suspect that conservationism is a mixture of irrational values (fighting change) and promotion of conservation as a means of making money via public funding. [O]n reflection I think that assertion [that alien species constitute the second greatest global threat to biodiversity] has been debunked so often (yet is endlessly repeated) that it no longer deserves the status of a myth, and is best described merely as a straightforward lie. The two most oft quoted papers (those asterisked above) entailed locking possums in cages, starving them and them offering them dead birds and eggs to eat. I think I’d eat roadkill if subjected to the same regime. This possum as predator agenda is politically, not scientifically driven.